Several people reported that their purchased ringtones became unavailable after updating to iOS 5. They further elaborated that the ringtones appeared to have synced as usual but did not appear on their iPhones. Fix: What can be done to counter this is to uncheck ‘Sync ringtones’ in iTunes. Then, sync your iPhone, recheck ‘Sync ringtones’ and sync your phone again. I have several personal tones that “were”on my phone. Either when I just updated my phone or sync’d to iTunes, they are gone. My iPhone 5c is now defaulting to the basic tones. On iTunes, my tones show that they are on my device. They are all selected (with a check mark) and I cannot uncheck them. They are greyed out. Altho they show they are on my device, they are not. Please help me access them back. Several are of my grandchildren and I don’t want to loose them!! iTunes is very complicated to use, by the way..
Can someone help me?? I downloaded some ringtones but I can’t seem to get them as my text tones. Does anyone know to fix this? I had a similar issue. According to iTunes the ringtones were on my phone, but not according to my phone. I had to re-add the physical files back into iTunes and then use sync to ‘delete’ the missing ringtones from my phone and then sync again to re-add them. All in all – not a terribly favorable experience. When I contacted iTunes support I was also treated to poor service – initially I got a canned response telling me how to sync my iPhone and download files from the store, and then I got another response effectively telling me that it wasn’t their problem – they didn’t even offer to allow me to re-download the files (even though their initial canned response said that they would). Apparently the fact that iTunes is a piece of s**t is the customers’ problem and not Apple’s … I have a distinct feeling that my next phone is going to run Android. None of the above suggestions have worked for me. I’m finally up for a new phone and I’m thinking it will be an Android. All the money I spent on ringtones and they can’t be recovered. I’ve been trying to figure this problem out for months. I finally just got it to work. What I finally did that worked was restarted my phone while it was disconnected. Connected it, seleced the device I wanted (my Iphone), on the top of the screen I picked tones. Sync tones was checked, then I clicked selected tones, the tones were all checked and I unchecked the tones under it. After unchecking the tones, in the bottom right hand corner I clicked Apply (which will sync your phone). When that was done I just rechecked the tones and pushed sync on the lower right hand side. My tones finally appeared on my Iphone. I have 16 ringtones showing in Itunes under tones & when I synced to my PC about a month ago only 4 were on my IPhone. I have checked & unchecked when syncing & I still only get the same 4 on my Iphone even though all 16 are in Itunes I contacted Apple & they redownloaded my missing 12 saying its a one time help. Now I synced again & the 12 are missing again from my phone. I have contacted Apple again but I don’t know if they are going to help me. I think there is a flaw since this is happening to so many people. Any other suggestions besides syncing & unsyncing? I have 23 original ringtones downloaded from a free site that work great. I recently downloaded more ringtones from this same free site and they are stuck in my Music Library, but will not move to my Tones Library. How do I get them to my Tones Library? It didn’t work for me. I had about 20 ringtones. What a waste of money. This is what finally worked for me. Good luck! YAYYYY!!! It worked!!!! Oh thank you, thank you! I was going crazy with those standard ringtones, and I can’t hardly hear them! 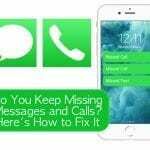 Tried your fix remedy and still can not get 2 of my ring tones back that I had purchased. What now!! I have tried the check and uncheck sync tones. I am getting ringtones that were purchased for another device, not the ones I purchased. I am not getting any of the alert tones. Also under my device it is showing an exclamation beside these ringtones and alert tones. It does not show an exclamation beside them in the library?! This is absolutely obnoxious. It worked, but its obnoxious. feeling very crazy and super mad!!! furthermore i cant edit my contact names. It worked perfectly. Uncheck the “Sync Tones” then sync your phone. The go back and check “Sync Tones” and resync. Voila!!!!! Thank you! I had tried EVERYTHING! But this worked! 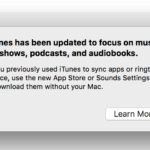 Same thing here…”tones” will play in iTunes library, but will not play on my phone. They’ll sync up (and I have unchecked and checked…UN-synced and synced), but when I go to play them or choose one in my “Sound” settings…it’s just silence. Also, when I went in to the iTunes store from my phone and tried to play ringtones (thinking I’d have to re-purchase)…the “preview” of a ringtone won’t even play…it’s just silence. It’s like ringtones and my phone are oil and vinegar…nothing plays, and it’s so frustrating!!! Arg! Gonna contact iTunes in the next day or so. I to did the update for my iPhone, i got most of my ringtones back but there are a few that do not show up in my iTunes! I tried to download them again and it says –you already purchased this item would you like to purchase again! I don’t wanna purchase again! How can I recover them when they don’t show up on my iTunes account? I’ve tried everything suggested. It still is not working!!!! Help! Windows, ios5.0.1 iphone 3gs. Tried several times, including re-spring or reboot the iphone. Help!! I had NOT yet updated to ios 5.0, however several purchased ringtones (but only some of them….) vanished from my iPhone last Fri….they don’t even show up as having been purchased, on iTunes…was alerted to this because these vanished ringtones had been assigned to various contacts, and one was being used as my default ringtone. Any ideas??? Thank you…thank you…Thank You!!!! This has been driving me nuts! cannot find ringtones tab in itunes to uncheck the sync button. has it changed in newer versions of itunes? Brilliant – once ‘ringtones’ is selected in menu bar, select all ringtones and re-sync .. job done! YOu are the man. Nobody explained the small sub menu that is there when the phone is connected. Once I clicked on the sub menu Tones and click Sync it worked! Thanks a million! Thank you! Took me days to get my ringtones back and 3 seconds after reading ur post! I tried the “Sync Tones” as suggested on other websites. Now ALL MY MUSIC IS GONE! I’m with Vicki, I have the same issue. After selecting “Sync Tones” I get a warning that all music, movies, tv shows will be removed. WTF I luv [email protected]#%^$tunes! 1. Go to iTunes Store then click Edit. I could see the ring tones on i-tune as being on my phone but they werent available to me when editing contacts. Having followed the advice I now dont even have them on my phone as far as I can see. Only 33% of my ringtones came back. Pretty upset. That’s a bunch of money wasted. Stupid Apple. After installing 5.01 I can see my purchased ringtones but they do not play when a call comes in. It only plays the default ringtone but not the one in their individual contacts. Did you ever get a work around to your ringtone issue? I am having the same issue and I have tried every thing I can find on the web to no avail. Let me know if you have something please. Did not work and I tried multiple times and shut off phone and tried again. It didn’t work for me the first time either, so the second time I just synced the ringtones and left the music off. I then went to my phone and selected my ringtones and then went back to the comp and synced my music. Seriously! So friggin’ complicated just to get my ringtones back. I’ve never been this irritated with and Apple product!! I paid for them so they should be so much more accessible! I was going mad when i couldn’t find my purchased ringtones on my iphone just after updating to ios 5.01, done the above and worked first time THANK YOU Sooooooo much. It worked for me too! Thank you!